USB 3.0 Cable .5 meters long. Compatible with the mounting holes on the 1U Vented Blank Insert. 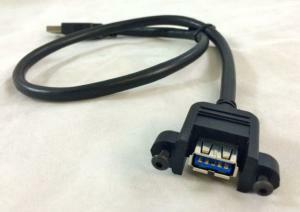 Also compatible with all our racks that have a cable insert cutout. When ordered from this page, items will ship with required thumbscrews for easy mounting.